Central South America, northeast of Argentina. Argentina 1,880 km, Bolivia 750 km, Brazil 1,290 km. Religions: Roman Catholic 90%, Mennonite and other Protestant 10%. 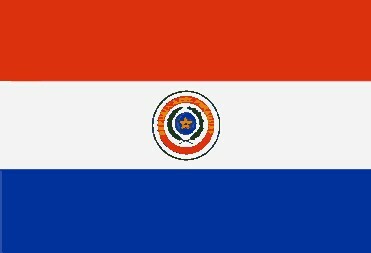 17 departments (departamentos, singular - departamento) and 1 capital city*; Alto Paraguay, Alto Parana, Amambay, Asuncion*, Boqueron, Caaguazu, Caazapa, Canindeyu, Central, Concepcion, Cordillera, Guaira, Itapua, Misiones, Neembucu, Paraguari, Presidente Hayes, San Pedro.